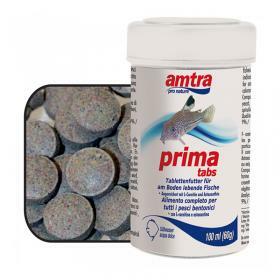 Amtra Artemia is a premium food for all tropical fish that feed on the bottom, particularly suitable for Corydoras, catfish and catfish. The special composition ensures a high intake of proteins at the same time making it very attractive. Contains valuable raw materials and it is enriched with L-Carnitine for healthy growth and astaxanthin for bright staining. fish meal, fish products, wheat flour, yeast, vegetable protein, shellfish, shrimp, plankton, spirulina, lecithin, algae, vegetable oils, herbs.